Tidore island, as seen from Ternate island, Indonesia. Tidore is a city, island, and archipelago in the Maluku Islands of eastern Indonesia, west of the larger island of Halmahera. In the pre-colonial era, the kingdom of Tidore was a major regional political and economic power, and a fierce rival of nearby Ternate, just to the north. Tidor Island consists of a large stratovolcano which rises from the seafloor to an elevation of 1,730 m (5,676 ft) above sea level at the conical Kiematabu Peak on the south end of the island. 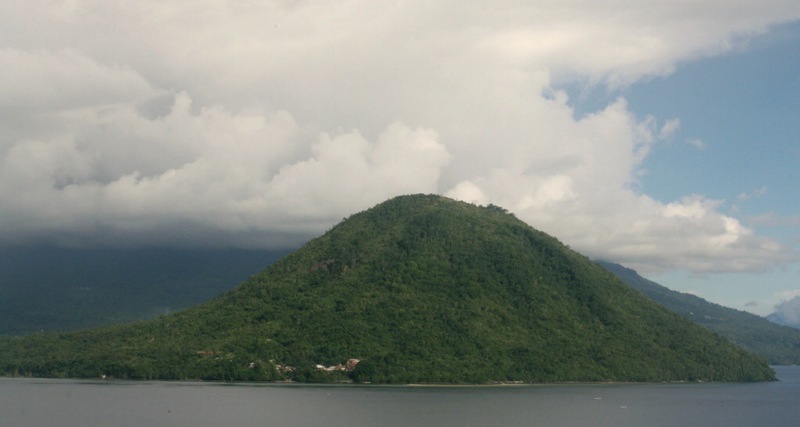 The northern side of the island contains a caldera, Sabale, with two smaller volcanic cones within it.